A 3-part series narrated by Orson Welles. 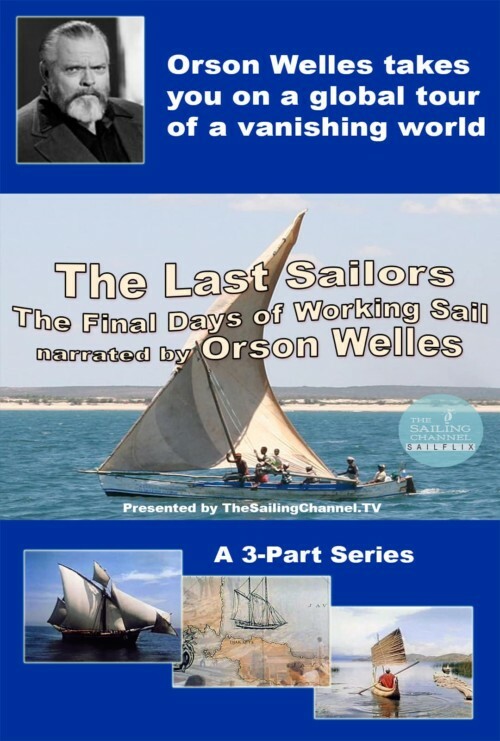 The Last Sailors chronicles the working sailing craft still underway in the final decades of the twentieth century. Orson Welles' narration gives the film the gravitas this subject deserves, as most of these sailors and their craft have now vanished forever. You may have seen parts on Youtube, but this is the full series distributed under agreement with Bennett Marine, the main distributor for the Producers.